Expect the unexpected is how the cliche goes. However, not even the most fastidious application of the Boy Scouts motto "be prepared" would have allowed me to be 100% ready for the final triathlon of my first season in the sport. Oh, and when I say the word triathlon, I mean duathlon. The event was staged at Port Stephens in New South Wales. A picturesque coastal town renown for blue skies and crystal clear water. Our arrival in the town the day before the race highlighted the old "exception proves the rule" theory with pouring rain, high winds and massive surf all prevalent. 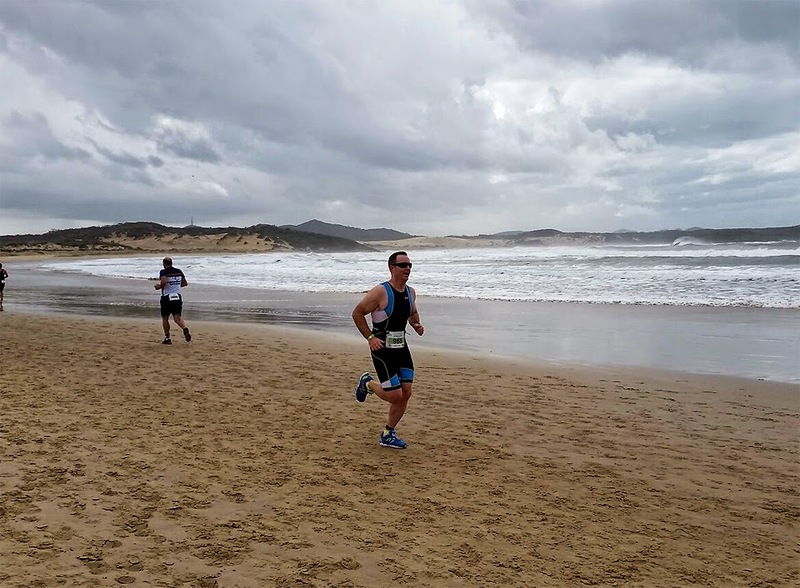 The organisers had no option but to cancel the swim due to the dangerous conditions and decided to replace it with a beach run. 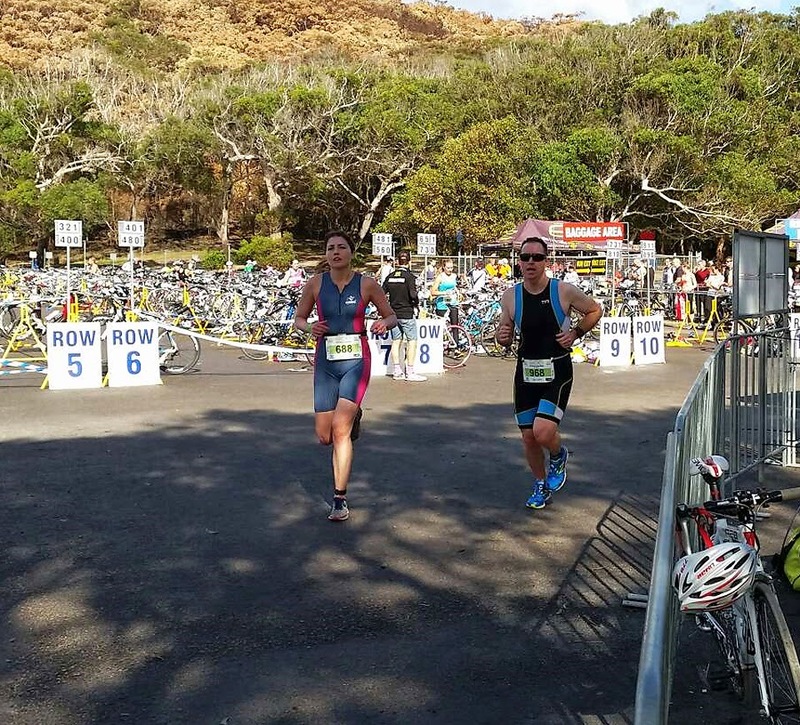 This race was to be my first step out of the Enticer distance (a race designed for beginners) and into the Sprint event. The replacement run was to be based roughly around a similar time to the swim and my 750m swim was substituted with a 2km hit out on the sand. Luckily, around 70% of the run was conducted on fairly hard sand so it didn't end up being as taxing as it could have been. 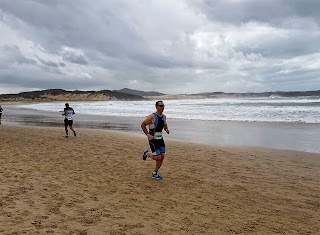 I was careful not to go too hard early as sand running takes a fair toll on your calves and I wasn't overly keen on entering 20km of bike and 5km of running with them already fatigued. I completed the leg in 7:39, 130th overall (out of 322) and 17th of 27 in my age category. I was looking forward to the first transition simply because it was an area I had practiced hard to improve on. I was in and out of T1 in 1:32. 99th overall and 12th in my category. While these stats may not appear overly flattering on face value, they are a quantum leap for me in terms of improvement. 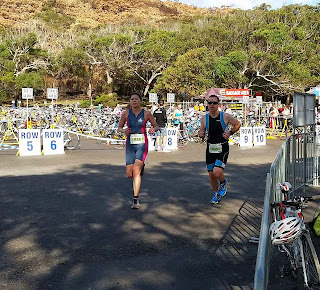 To put it in perspective, I had been the slowest in both T1 & T2 at my previous triathlon which was a beginner event. I was now racing more experienced athletes and managing to be in the top 30%. So it was onto the bike for a two-lap 20km spin on a course that featured a nice incline. 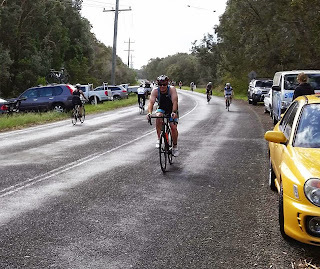 ﻿﻿Sporting a new set of lighter wheels, I traversed the 20km in 40:30 (avergaing just under 30km/hr), again 17th in my category and this time 106th overall. Cycling is still a big area of improvement for me and that result is probably pretty much as good as I could have expected. T2 was not as good as my first transition but still an improvement on where I'd been. A time of 1:42 had me 18th in my category and 205th overall. I still have plenty to work on there. Now it was just a case of slipping back into the shoes and run 5km as fast as my legs would carry me. The run leg is a very important part of the race and I was determined to put my best foot forward in this leg. The course may have been a tick under 5km and I managed to get through it in 23:45. I had to overcome a few demons at around the 3km mark and managed to finish strong. The time landed me 14th in my category for the run and 102nd overall. The run was my best leg and definitely one that I want to improve further as it is the most valuable part of the race. The strong finish saw me move up to 14th in my age category and 95th overall. I was happy with the results for two reasons. It showed me how far I had come in a very short time and also allowed me to identify a plethora of things that I can work on next time. Later in the day, my partner and I backed up for the Enticer event in a fun idea known as the Superhero Wave. ﻿﻿Anyone who had raced earlier could enter the wave for free, provided they dressed up as a superhero. There were some sensational outfits on display and the race was conducted in terrific spirit. 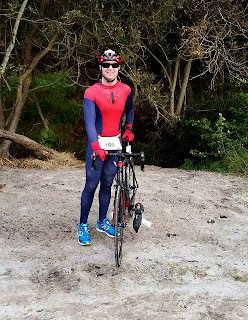 I chose Spider-Man as my character and enjoyed the constant cheering and words of encouragement from all the kids out on course. The "Go Spider-Man" tally must have been well over a hundred during the race. It is a part of the day that makes it an attractive proposition for the 2016 calendar. Already, I can not wait for next season to roll around and hope to race as many triathlons as possible. 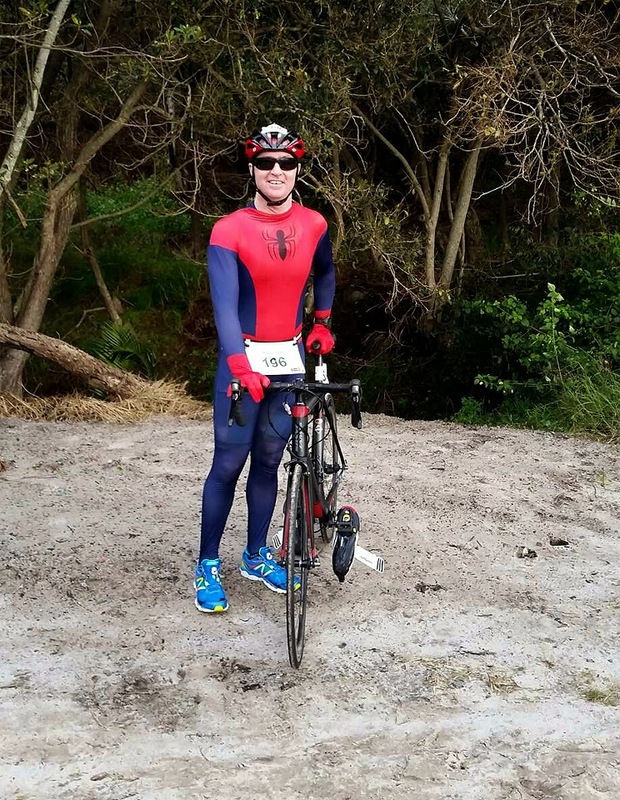 For now, it is back into the training and looking for a few running and cycling events to have a crack at and possibly some duathlons too.